The gateway is fully automatic – set it and forget it. 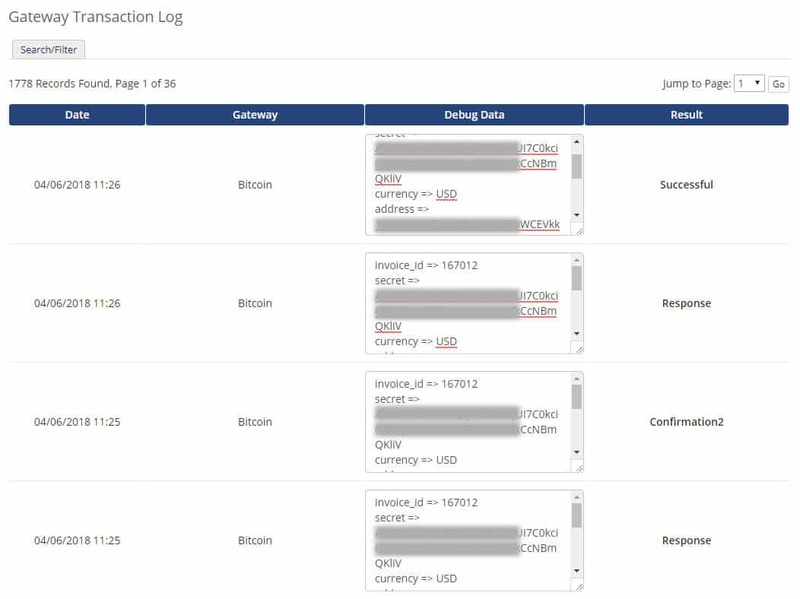 Automatic conversion to bitcoin via real time exchange rate feed and calculations. Option to set the number of confirmation before marking the invoice paid. In order to use the Receive Payments API V2, please apply for an API key at https://api.blockchain.info/v2/apikey/request/. This API key is only for our Receive Payments API. You cannot use the standard blockchain wallet API key for Receive Payments V2, and vice versa. How to acquire Extended Public Key (xPub)? This API requires you to have a BIP 32 account xPub in order to receive payments. 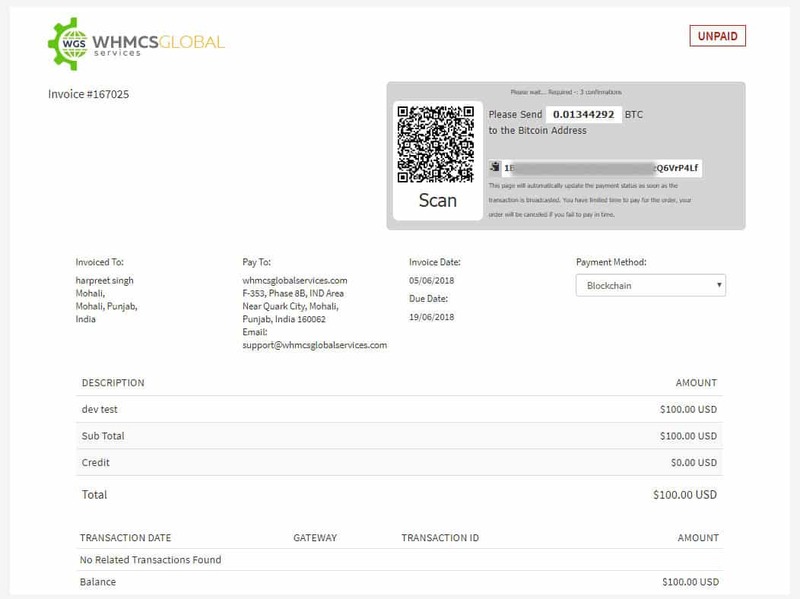 The easiest way to start receiving payments is to open a Blockchain Wallet at https://blockchain.info/wallet/#/signup/. How many confirmations do I need to set? After payment is done at Blockchain. 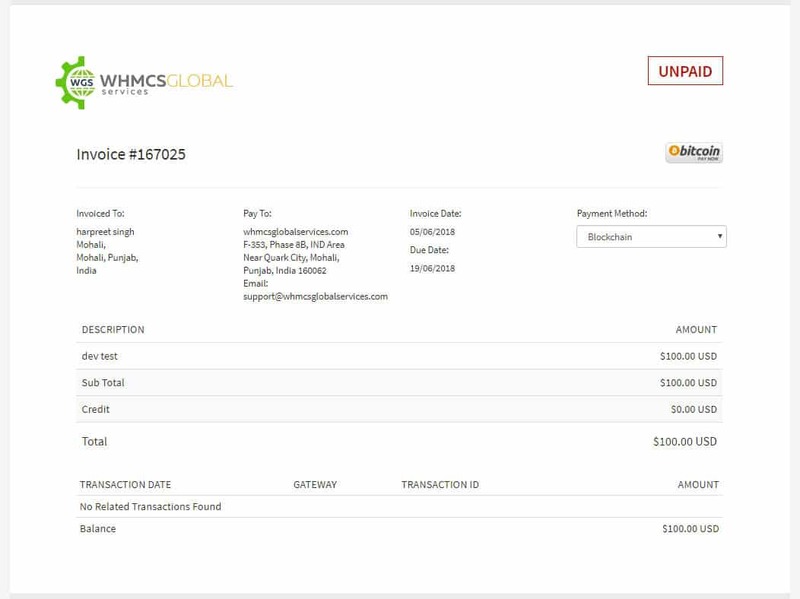 You can see “unconfirmed” payment at Blockchain. This means Blockchain is not included in the Blockchain and is still reversible. A transaction typically takes around 1 to 5 minutes to be confirmed. Blockchain sends confirmation to Shopping Cart after an interval and confirmations are increased by one. 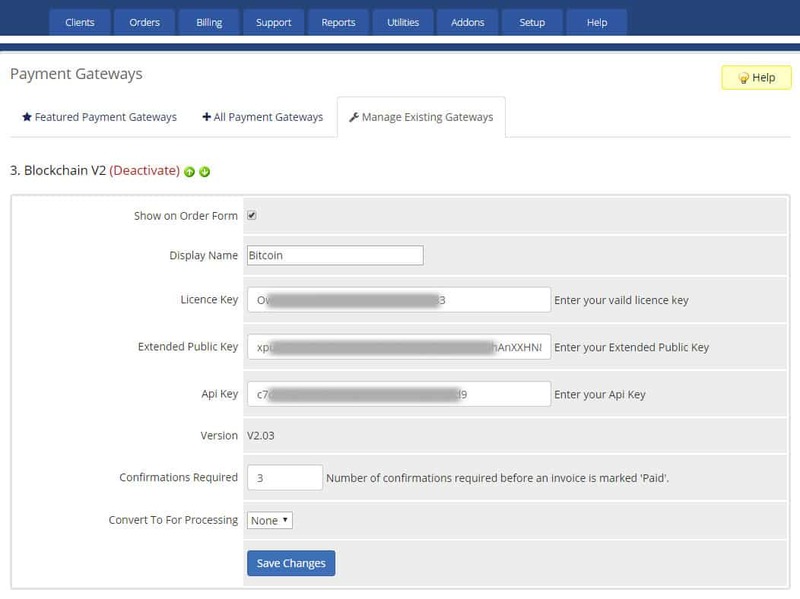 You can set in the whmcs gateway configuration what number of confirmations you require to check before invoice is paid. It can be 0 by default.